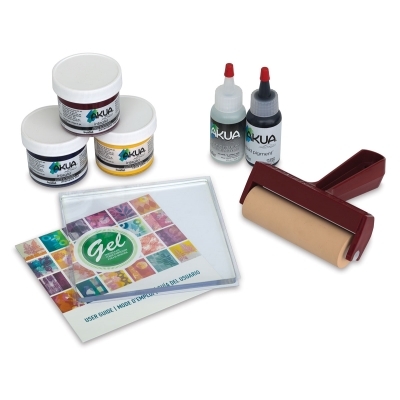 Great for mixed media, card making, journaling, scrapbooking, home décor, and much more, For best results, use Speedball Gel Printing Plates with printmaking inks such as Akua Intaglio Inks, Akua Liquid Pigment, Speedball Water-Based Block Printing Inks, and Speedball Screen Printing Inks. 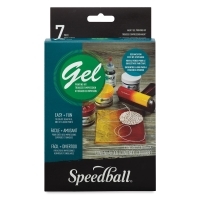 ® Speedball is a registered trademark.™ Akua is a trademark. ™ Red Baron is a trademark. ™ Pop-In is a trademark. ® Bienfang is a registered trademark. ™ Akua Intaglio is a trademark. ™ Arnhem 1618 is a trademark.